The Comfortable Toggi Quebec Country Boots in Brown Leather. 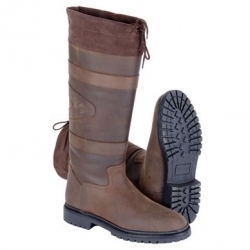 Breathable and waterproof milled leather country boot. With all terrain thermo rubber sole unit and polyurethane cushioned insock with gel foam inserts for added comfort. These Quebec Country Boots - Made from the Finest Quality Materials but Affordable!